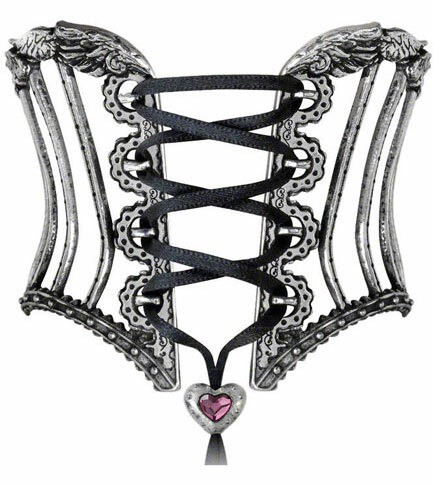 This Victorian inspired bangle is designed to look like a corset around your wrist. 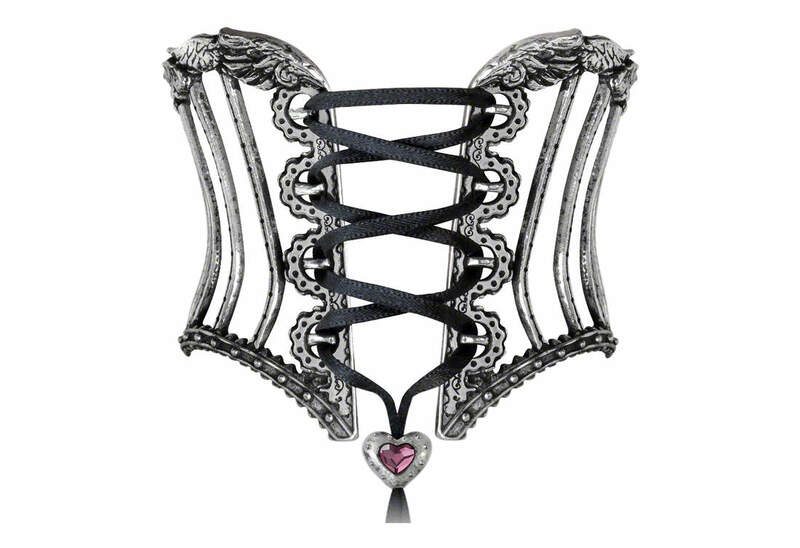 It has wing and scallop details on the frame with a black satin ribbon criss crossed down the middle. 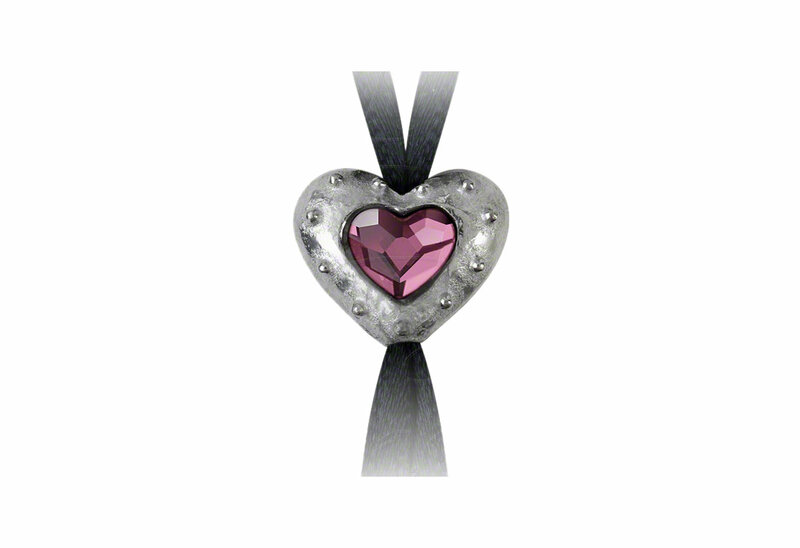 At the bottom there is a pink stone heart to hold the ribbon together. It is made of fine English pewter with Swarovski crystal and it measures 3 inches wide, 2.3 inches high and 2.2 inches deep. By Gothic Alchemy.